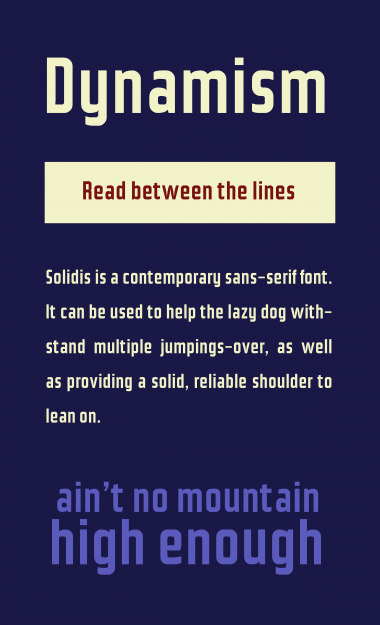 See also dm/FB Solidis by Jamie Place (FontBlast). like dm Parkway: poster-bold deco face. Info: Created on 24th November 2012 . Last edited on 18th December 2012. Thanks winty! I've now published my suggestions of 5Quadrislash, if you'd like to see it. Thanks so much @fugitiveglue, cable, p2p! Reminds me of another font :) anyway, good work! @Yautja // Hehe, whoops :-) No wonder why that name seemed so familiar. I can change it if you want! Thanks! It's ok, you have the dm after all. Sample text is very funny, and also true. Congratulations! FontStruct Staff have deemed your FontStruction worthy of special mention. “dm Solidis” is now a Top Pick. @meek // Wow! Thanks so much!! @demonics: The short answer: you can't make overshoots in FS at this scale. However, there is a trick to shorten the vertical strokes a little so as they end a little above the base line. With sophisticated composite techniques you can make bricks slightly shorter: 7/8 size. As a result - unlike the letter on my picture - some letters in FS will float above the base line, or rest on their curved bowls. My solution works best with simple straight designs. In case the vertical strokes have an angled part, you have to pull off new tricks. Missed this earlier, well balanced and good sample! I'm not sure about &. I know its supposed to look like (et) but i'm not sure it's legible as a regular &. 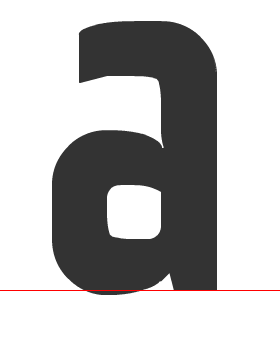 @ winty: I have a few fonts with this kind of & because the symbol wouldn't fits the overall visual 'feel'. four / shutupandance — thanks, people. winty5 — everything's experimental for me on fs, and I quite like my version. Maybe I'll add an alternate. Amazing font. I'm wondering: how do you get that level of detail? By zooming out 100%? Lots of composite blocks? bduffy — Oh, tons of composite bricks. Go ahead and hit the clone button to see how it's done. A real master of this technique is will.i.om.